I’m doing the happy dance – kinda. Between you and me, I really can’t dance (for reals). Anyway, Spring is peeking around the corner and will be here soon. Yay! That means it’s almost time for grilling out, enjoying time outdoors and mocktails! 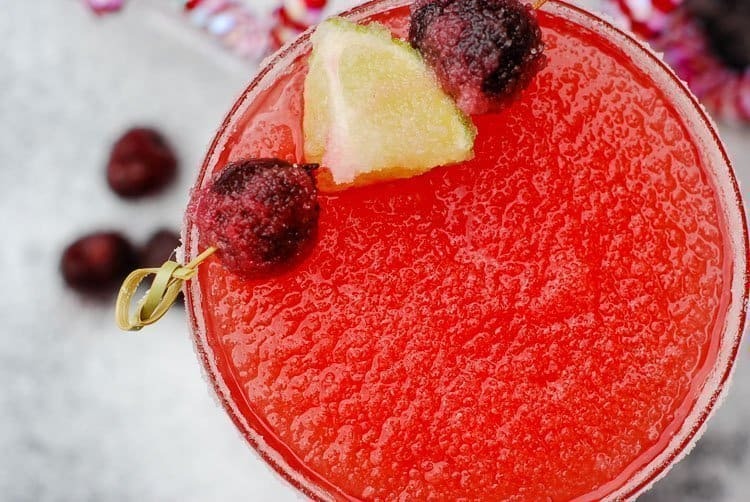 There’s nothing like a fruity mocktail while grilling out with friends. That’s why I’ve got 20 Fruity Mocktails that everyone can enjoy. Whenever I’m entertaining, I like to include a signature mocktail. I have created a few mocktails myself, but it’s always fun to add more. 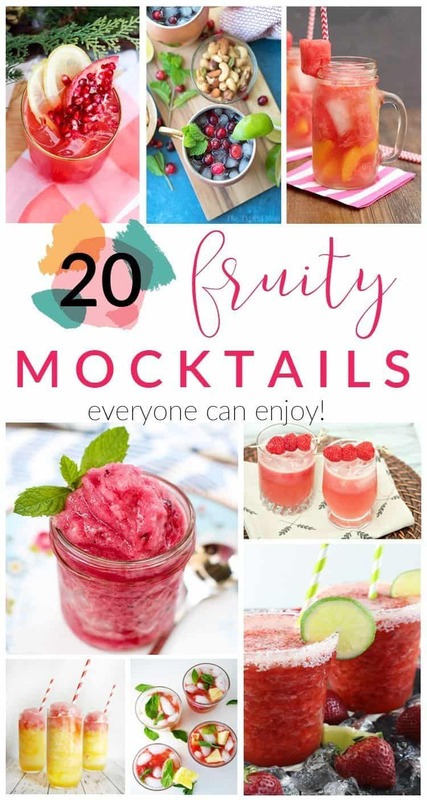 These 20 fruity mocktails are perfect for spring and summer. There’s sure to be a few you’d like to try. You can even use one as your signature drink. After all, you’ll be the one mixing them up. Helpful Hint: I always take my favorite mocktail recipes along on our favorite beach trips. OK, I don’t have to carry the actual recipes. I just look them up on my blog. It’s so convenient. Which of these fruity mocktails will you try first? Picking one could be difficult! If I have to it would be the frozen strawberry margarita. I check my ingredients by pulling up recipes on my blog too LOL. Yum, I would love to sip on any of these drinks. I like that they are mocktails as well. I’m a mother so I prefer not to drink too much alcohol in case something happens with the kids. I can’t wait to start drinking in the sun…I’ll take one of each right now. We just got hit with another foot of snow, I’m done with winter. These look yummy. We like a few spiked drinks, but sometimes it as easy to make something like this for a more refreshing drink, especially when entertaining outside. With Spring and Summer coming up, it’s always nice to have refreshing drink recipes on hand. I think these are great! And they’re perfect too when you have guests coming over. I’ll take one of each of these. OMG! These look delicious! That Pineapple Mojito Mocktail with Strawberry Slush – The Bewitchin Kitchen though. Yum! I could go for one of those right now. 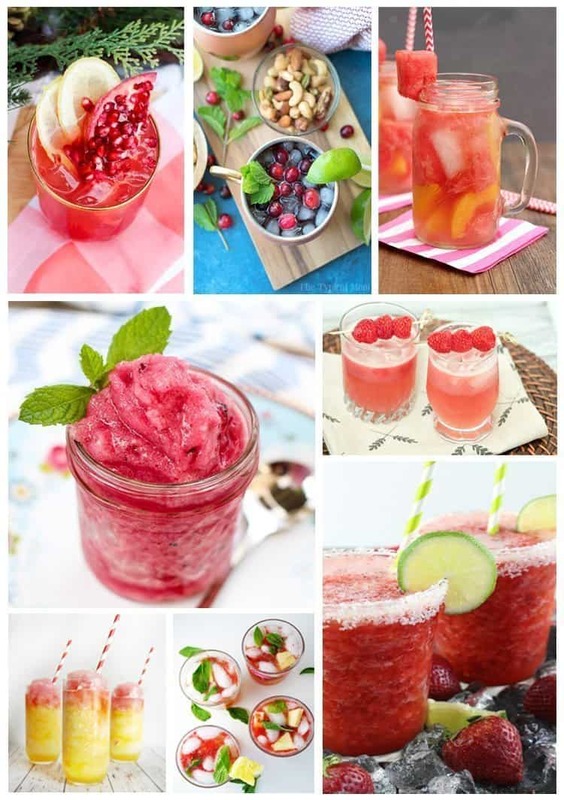 These mocktails all look so refreshing and delicious. I am saving all these recipes and I am going to sit here and wait for the weather to get warmer. Sun, sand, sea, and a great tasting mocktail is all I am dreaming of right now! I drink on occasion, but I usually stick to non alcoholic drinks. These all sound so good! I know that I’ll make one of these soon! I am all about the mocktails. I don’t really drink alcohol much. That tropical twister one sounds amazing to me! I think mock tails are so yummy! I can’t wait to try some of these. I cannot wait to try these mock tails. I have been looking for some fun new flavors! This is why I can’t wait until summer! I love making fruit drinks for my family. So many great ones that look super tasty! I haven’t ever had a mocktail I don’t think so I’d love to give one or two a try! 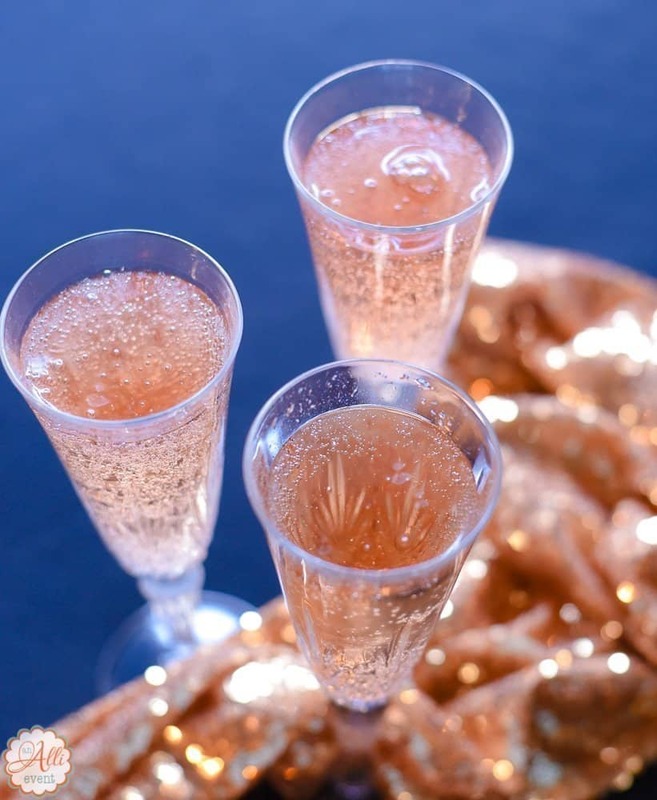 I love all of these little mocktails ideas! So cute! I have never tried making mock tails. A fruity mock tails would be awesome during a summer party. I actually tried some of the drinks you posted here last weekend with my friends and we loved it! Very chill and refreshing thank you for sharing this! We might try some again this coming weekend.